And still sometimes, I get pleasantly surprised. This weekend, I was supposed to be volunteering at my curling club – we were hosting a bonspiel (a curling tournament), which is a fairly member-intensive operation when you have twenty-four teams who’ll be playing at your club. (It’s roughly about one hundred people, not counting anyone who’s come with to watch.) . Early in the day on Friday, I was asked to drop the volunteer gigs I’d picked up and, instead, get dressed to play to replace a player who’d not shown up for one of our out-of-town teams and… well, the plan had been for me to volunteer on Saturday as well, but with the Monster in tow, which meant he’d be hanging in the warm room while I was on the ice. To be entirely open – it’s not the first time that the Monster has come with me to curling when I’m playing. He and R have come with me on Sundays when I’ve made the finals in local bonspiels, but that’s usually quieter for starters, and with other children to distract him and keep an eye on him. This time, though, he’d be sitting behind the glass (where I could see him) and… well, I didn’t know what. I girded myself with drink bottles for him, pretzels, cheese sticks and a few other treats, settled him in the seat, and… went out to play. Every time I checked on him, he seemed to be fine. He was paying some attention to what was going on, including looking up at the monitor over his head (which showed the top-down view of the house we were throwing at), and seemed perfectly content to be sitting there. Again, not unusual, since he comes with me to a lot of things, and when he’s being well-behaved, you’d never know he was there because he’s quiet. It was when I came off the ice that it started. …and it dawned on me. It’s like the Monster’s the club mascot at this point. 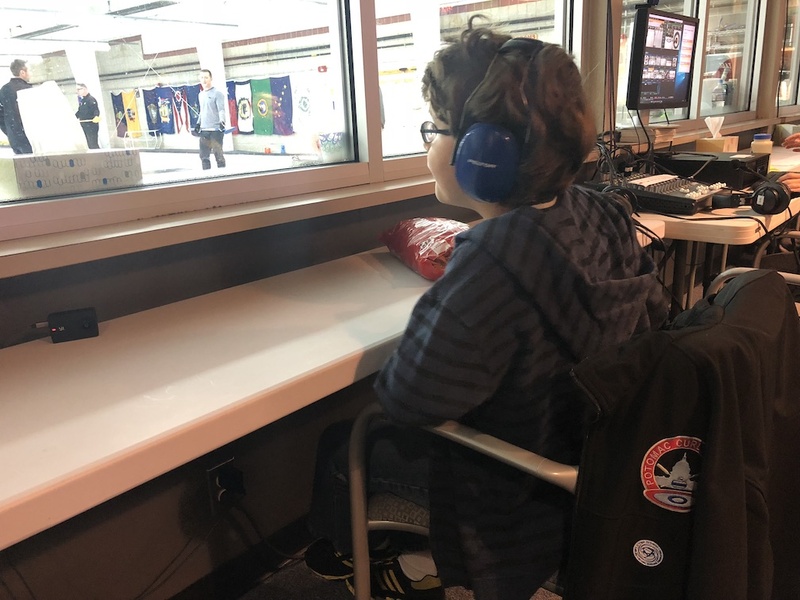 Despite the fact that he’s really only able to minimally interact with the children in the Middle Rockers program or with other curlers, they’re on their own reaching out to try to make him feel welcome at the club and a genuine member. They might not understand what he can or can’t do, but they’re doing what you do with a member of the community and trying to include him at his level.